Esurance caused a bit of a scene. 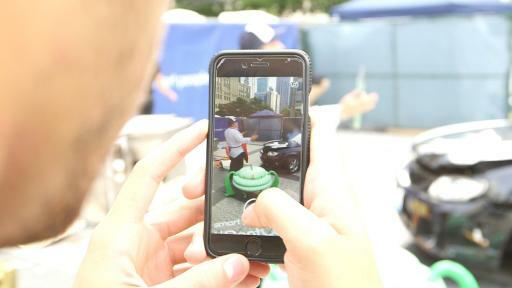 The home and auto insurer staged a fender bender to encourage safe driving, an important message to address the recent series of car accidents caused by people playing mobile games while driving. 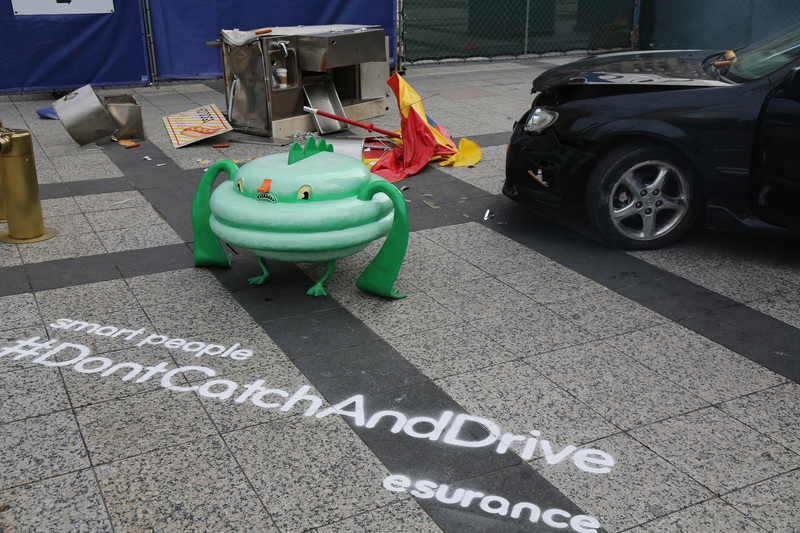 Signage around the scene in Pioneer Court, an iconic Michigan Avenue location near the Tribune and Wrigley buildings, encouraged people to share their experience using #DontCatchAndDrive. A Snapchat geo-filter was also created to draw even more attention to the safe driving message. 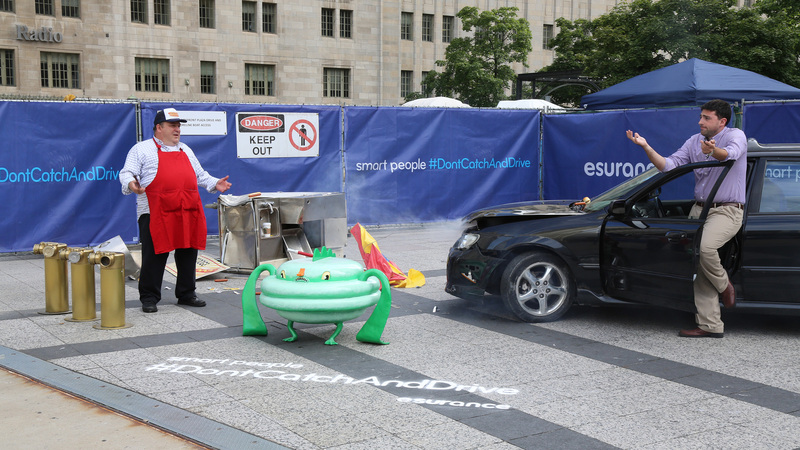 The crash is part of a broader effort by Esurance including a digital campaign you can find at www.esurance.com/dont-catch-and-drive. 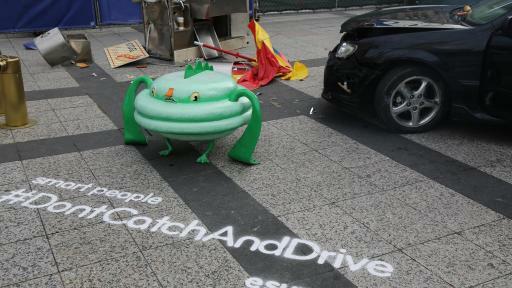 Learn more about “Don’t Catch and Drive” by seeing the campaign press release at http://prn.to/2bDZcuR. 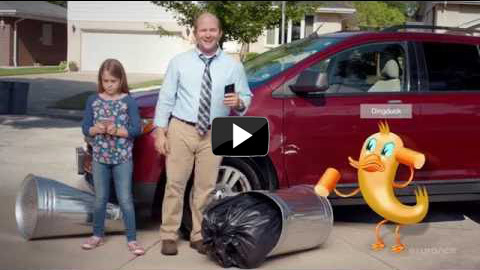 Share the video using #DontCatchAndDrive. Esurance, insurance for the modern world®, provides auto, homeowners, motorcycle, and renters insurance direct to consumers online and over the phone. With an easy-to-use mobile app, helpful online tools like photo claims and Coverage Counselor®, and knowledgeable experts available around the clock, Esurance is the smart choice for today's web-savvy consumer. And as a member of the Allstate family with an A+ rating from A.M. Best, Esurance offers auto and home insurance anytime with service just a click, call, or tap away. For more information, visit esurance.com or call 1-800-ESURANCE (1-800-378-7262).